The debut story collection from Joe Hill, author of NOS4A2 and Horns. ‘Pop Art,’ ‘You Will Hear the Locust Sing’ and ‘Voluntary Committal’ are all terrific, and the rest are, at a minimum, solid, swift and craftsmanlike. But ‘Best New Horror’ seems to me the most thrillingly original of Hill’s weird tales, a daredevil performance that keeps some complex ideas suspended in the air along with, of course, our usual disbelief. It’s brave and astute of Hill to acknowledge that some part of the appeal of horror fiction — of any genre fiction, really — is its very predictability: the comfort of knowing, at least, what kind of story we’re reading … Joe Hill has clearly given a fair amount of hard thought to the problematics of horror. It’s his destiny, I suppose. 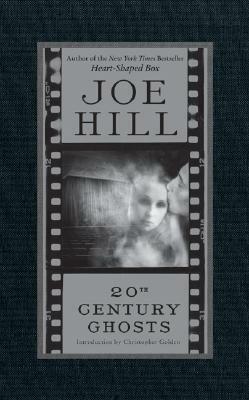 20th Century Ghosts is Hill's first collection of short stories and displays consummate skill in a variety of genres. Heredity theory would lead you to expect some horror tales, and you'd be right —’You Will Hear the Locus Sing’ (a Kafka update) is a stomach-churner, and the kidnapper story ‘Black Phone’ is grisly and suspenseful. ‘Best New Horror’ simultaneously subverts and pays tribute to horror conventions in an entertaining literary nightmare. But wait, there's more — the title tale's heartbreaking, cinematic supernatural love story; the funny, fantastic ‘Pop Art’ (an inflatable boy will touch your heart); the science-fictional ‘Voluntary Committal’, exploring a mentally ill boy's time-and-space-folding superpowers … Stylistically, Hill can ratchet up the tension or toss in a wry observation, without fanfare or showiness. 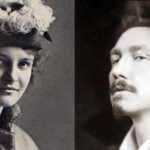 Amusing, moving, horrifying — Ghosts runs the full spectrum. What did you think of 20th Century Ghosts?